Perlane-L™ is a cosmetic dermal filler similar to Restylane-L™. These cosmetic dermal fillers add volume within the skin. They consist of hyaluronic acid. In the body, natural hyaluronic acid provides volume and fullness to the skin. As we age, we have less of this natural hyaluronic acid and lines and wrinkles develop. The difference between Restylane-L™ and Perlane-L™ is that Perlane-L is made up of larger particles and is injected deeper into the skin. Therefore, Perlane-L™ is best for those deeper lines and wrinkles. The ingredient in both Perlane-L™ and Restylane-L™ that makes them different than their predecessors, Perlane® and Restylane® is lidocaine, a local anesthetic. This makes the injections less painful than before. Perlane-L™ uses the hyaluronic acid to replace the lost volume to your skin and restores youthful contours to smooth away moderate to severe wrinkles and folds. After treatment with Perlane-L the hydrophilic or “water loving” nature of the hyaluronic acid molecules allows them to bind many times their weight in water as they slowly break down. This process is what helps maintain volume for about six months. Administered under the expertise of Dr. Garo Kassabian, MD,FACS, a dual board certified cosmetic surgeon at Lift MD Aesthetics®, you can rest assured that your treatment with Perlane-L™ will be individualized to your needs to achieve maximum results. You’ll still look like yourself—just rejuvenated! Check out our entire line of skin care products at www.liftmd.com. Dr. Garo Kassabian, MD, FACS is a board certified plastic surgeon and founder of Lift MD Aesthetics, a full service surgical center and spa located in the heart of Beverly Hills. 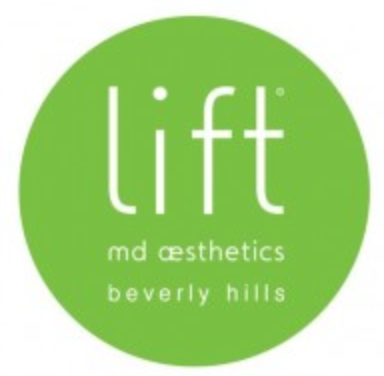 If you are interested in learning more about Dr. Kassabian or Lift MD Aesthetics or are interested in a consultation, please call our office at 310-285-0400 or check us out at www.liftmd.com .